So imagine this: It’s Saturday afternoon and you’re hanging out with your kids in the garage having some quality time, when out of nowhere, a man with a ladder on a truck appears. He says he’s with the disaster recovery unit of your insurance company and is in the neighborhood following up on damage from a hail storm several months ago. He shows you pictures of the storm track on the map and wants to get up on your roof to inspect it for hail damage. But first, there’s this form you need to sign. Sound fishy? Do you sign it and let him up on the roof? Well Kellie Clark did and she’s been regretting it ever since – in what is clearly one of the most abusive dastardly cases of would-be insurance fraud, I’ve ever seen in my 30+ years of working in the insurance industry. 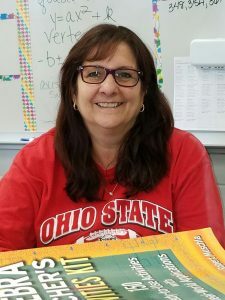 This ninth-grade math teacher in Pinellas County was misled into signing an AOB and has now become the target of bullying and harassment – including threats of foreclosure action – because she is refusing to sign over the insurance check. It’s a growing problem in Florida that has caused double-digit rate increases and whose solution is still eluding the Florida Legislature. They come to your house peddling offers of a free roof, courtesy of your insurance company. Regardless of whether you’ve suffered serious enough storm damage to warrant a total roof replacement, these scam artists have you sign an “AOB”– an Assignment of Benefits – that takes away your rights and benefits of insurance claims proceeds and puts it into their pockets. That’s what’s happening to Kellie Clark. When you read and hear this story, you will see clearly how catastrophic Assignment of Benefits abuse is in our state. Her story of what happened, in her own words, is here in the Kellie Clark Timeline of AOB with Simbro Group. And the response she received from the roofer is just unbelievable in its threatening and outrageous tone in their Simbro Group Letter of AOB. You can hear Kellie Clark’s story with your own ears – and the impact it’s had on her family’s life – as she was most gracious and courageous enough to join us this week on The Florida Insurance Roundup, our ongoing podcast on the people, issues, and regulations shaping Florida’s insurance market. When I learned what happened to Kellie Clark I immediately shared this with local law enforcement for a variety of reasons including the demand from the roofer that two blank building permit forms be signed and notarized but left blank! And now, Tampa ABC Action News reporter Jackie Callaway is investigating as well. Look for her story soon. Homeowners across Florida have been victims of this scam that is causing property insurance rates to go up because claims are ridiculously inflated by unscrupulous vendors who abuse the use of the AOB. Every now and then there’s a story that goes straight to the heart of the matter and Kellie Clark’s is one for the books and records. For the 5th year in a row, public testimony, individual consumer abuse cases, and pleas to public policymakers have gone unheard to stop bad actors from shoving an AOB document in front of a consumer when the homeowner’s house has flooded from busted pipes or a roofer is canvassing neighborhoods soliciting business. Unfortunately, the consumer unknowingly signs the AOB and instantly that signature hands over all the insurance policy rights of the consumer to the bad actor – even the right to sue an insurance company. There are reams of recapped stories about this senseless and near criminal behavior of unscrupulous vendors who abuse AOBs, but none quite so unbelievably blatant as Kellie Clark’s story. We hope the legislature is listening – and willing to take action now itself this legislative session.